Established in 1993, we are one of the most experienced and professional independent Estate Agents in the area! We know our service proposition, which is proven with our consistent recommendations, will be of great assistance to you in the selling, buying and renting of your property. Its not uncommon for us to sell the same property more than once or even three times! Just 25 miles from the City, the market town of Gravesend, on the south bank of the River Thames, is the superb location to live. It has the unique benefit of being the only riverside town centre in Kent. This important and growing North Kent town has a history that stretches back to Roman times, and the regular town centre markets are a reminder of its rural origins, as is the unspoilt countryside outside the town, some of which is designated as Areas of Outstanding Natural Beauty. But, above all, Gravesend is a maritime town, and its relationship with the River Thames, as a resort, a port and latterly as a passenger-ferry terminal, has brought with it prosperity. Living in Gravesend you are ideally situated to take advantage of all that this vibrant place has to offer; wherever you choose to live would mean that you are literally no more than a few minutes walk or drive from the town centre, the surrounding countryside and, of course, the River Thames. The historic High Street is Gravesend's focal point and much of central Gravesend is a pleasant traffic-free pedestrianised environment. Two shopping centres; The St George's and The Thamesgate - make Gravesend one of the very best shopping experiences around. The town boasts over 250 retail outlets, from specialist local boutiques to the large national department stores and supermarkets, and a covered market is held six days a week. And, of course, living in Gravesend you're just a few minutes drive from Bluewater, Europe's largest retail centre. Busy restaurants, cafes, bars and pubs are plentiful, and give the town a cosmopolitan feel and urban buzz. Clubs and pubs mean that there's no shortage of things to do in the evenings. For the health conscious The Cascades and The Cygnets leisure centres provide a wide range of sports facilities, and the local area is rich in parkland and open spaces for relaxing weekend walks. As one of the most experienced and professional Estate Agents in the area (est. 1993), we are very confident this service proposition, combined with competitive fees, means we will be of great assistance to you in the marketing and subsequent sale/rental of your property. With a wide database of existing applicants/clients we may well already have people on our register that would be interested in viewing your property! 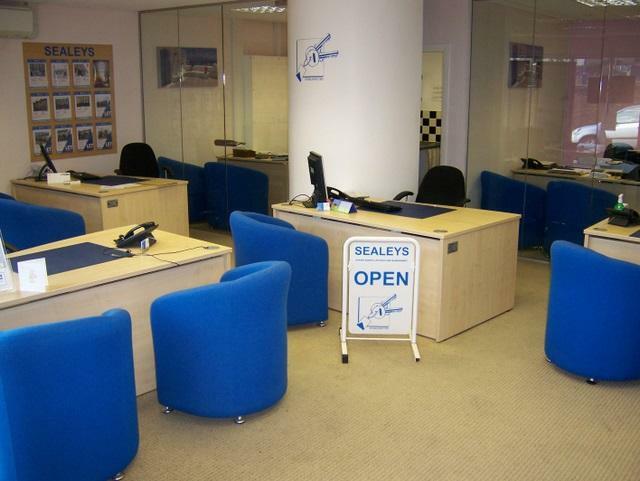 We have our own dedicated website, www.sealeys.co.uk, coupled with many more websites and a glossy magazine to ensure people will find your property. Furthermore we advertise regularly within local newspapers covering Gravesham and many surrounding towns and villages, even reaching as far as South East London! %u2026 And of course it almost goes without saying that all of the above benefits are of great advantage for any person wishing seek a new home whether that is to buy or to rent! With all the services you require to buy, sell and rent a property under one roof we feel we can offer a swift and stress free transaction to all our clients. Wishing you all the very best in your search, please do contact us to be put on our mailing list, to ensure you do not miss out on the latest properties. More than just an Estate Agent, we are... Property Professionals! The key to your new home! We have a collective experience of over 80 years within our team. - unique Membership of THREE networks covering both locally and nationwide! - unique Full colour glossy magazine! - exclusive Interactive Marketing System! - maximum exposure - Many Internet Websites and Local Newspapers! - in house Home Information Packs! - with domestic trains running to London in 17 minutes from 2009! We utilize one of the largest brokerage firms in the UK, they 24 hour online tracking and no sale no fee services. Unique in house service which provides the best service for home information packs which went fully live 14/12/07, including Energy Performance Certificates and optional Home Condition Reports. Tenants Deposit Scheme, In house maintenance department, Property management, Block management, Let only/management service, Providers of rent guarantee and various insurance policies for both Landlords and tenants. Sealeys represents vendors as auction agents and can take instruction on land or property, then progress the sale to conclusion. The company deals with a range of land and building transactions. We are able to pass your enquiry to a bespoke operation provided by an Independent Mortgage Advisor based in our Gravesend branch., who can also visit you in your own home FREE of charge - its your choice. The accumulated specialist ability in this area provides a seamless service including the sales and marketing of new builds, investor packages and the handling of part exchanges. Developers are invited to contact us. We offer very competitive fees for all our products and services, please call for more details.